lucky clover flowers is a small flower farm GROWING seasonal FLOWERS AND FOLIAGE FOR THE GRAND TRAVERSE REGION OF NORTHERN MICHIGAN. Fragrant sweet peas and stock. 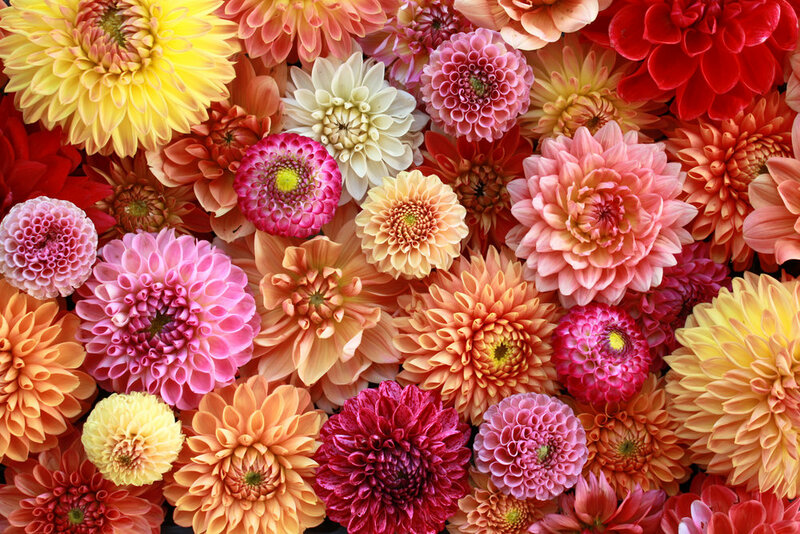 Stunning dahlias, zinnias and heirloom chrysanthemums. From seed to vase, everything we grow is thoughtfully tended and handpicked with the hope its unique and seasonal beauty brings great joy to you or somebody you love. Looking for exceptional, locally grown flowers and foliage? Or perhaps you're seeking specialty cuts you're unable to source through your wholesaler? Sign up for a weekly list to see what's currently available in our field, as well as a sneak peek of what you can expect in upcoming weeks. For the DIY-minded, buying flowers in bulk can be an economical way to bring lush, colorful, fragrant flowers to your wedding or event. From spring through frost, Lucky Clover Flowers offers buckets generously filled with seasonal focal flowers, coordinating accent flowers and foliage. For you, for a friend, for your business, or when you don't need any other reason than to enjoy the simple pleasure of bringing a bit of beauty indoors. From spring through frost upon request we can fashion vibrant, casual arrangements featuring the very best of what's growing in the field. fresh bouquets available at fieldstone market and deli all summer long! We are so pleased to partner with Fieldstone Market & Deli to offer grab-and-go bouquets for your convenience. Offerings change from week to week so you can enjoy the very best of what's in bloom all summer long.